The following article is taken from the plenary address given by Frank A. Gerbode, MD on March 12th, 1991 at the 2nd Annual IRM [Institute for Research in Metapsychology] Conference in Palo Alto, CA. To hope is not the same as to wish. One can wish for all sorts of things that one feels one has not the slightest chance of obtaining. When I was a child, I wished I could live in the Land of Oz. How many lusty but terrified adolescents might – including me – have wished for a roll in the hay with Jayne Mansfield, Marilyn Monroe, or Brigitte Bardot? But was there a chance? No way! In order to hope then, one must conceive at least of the possibility of success. In order to truly intend something moreover one must have some hope of fulfilling that intention. Try to intend something, where there is no hope of fulfilling that intention. It cannot be done. One can wish for but one cannot intend such a thing. I might wish I could flap my arms and fly to the moon, but I cannot hope to do so and so I cannot intend to do so. Thus one’s capacity to hope for things places an absolute limit on one’s power. If one cannot hope for very much and one is pessimistic, one cannot attain very much. On the other hand, being optimistic raises the ceiling of what is possible. So it would seem like a good idea as a matter of policy to be optimistic. Yet surely there are grounds for pessimism. Past bad experiences lead to an anticipation of future bad experiences. Even some of our past victories have been attained at such great cost that we can wonder whether the success we attained was really worth it. Also for a pessimist there is a sort of raw pleasure to be had in proving an optimist wrong through causing a failure to occur. Some people can feel better having failed at the thought that it was not their fault because “everyone fails”. Such a person can become quite uncomfortable at perceiving the success of another. When one has abandoned hope, beginning to hope again can be very painful. Thus one can be motivated to remain in the apparently comfortable position of apathy. But consider the possibility that even past defeats may have been beneficial in certain ways at least insofar as they contributed to learning. The net effect of a defeat in fact is often positive if we can then take advantage of the situation to learn strategies that will lead to future successes. Sometimes too the fact of trying is more important than the outcome. 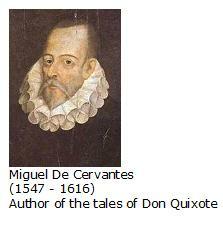 Cervantes’ book Don Quixote is about such “positive defeats”. The hero imagines himself to be a knight errant rescuing damsels in distress, defeating sorcerers and monsters. Actually the “Lady Dulcinella” is a prostitute and the “monster” Don Quixote is attacking is a windmill. But there is nobility in the way he continues to try and continues to believe in his ideals and though reality always deals him bitter defeats, these are Pyrrhic defeats. [a “Pyrrhic victory” is one in which so much is lost that the “victory” amounts to a defeat. A “Pyrrhic defeat” then, would be a defeat where enough is gained to amount to some kind of victory]. He refuses to be truly defeated, to abandon his ideals, or to lose courage and optimism. The reader starts the book laughing at Don Quixote and finishes it enormously impressed with him. A person is never really defeated until his optimism is defeated. As a person becomes more aware she rises – observably – on the Emotional Scale and becomes more optimistic. If reality were such as to justify pessimism, a person perforce would become more pessimistic as she became more aware of reality. But since the reverse is what in fact occurs, reality must be such as to justify optimism. Now I’d like to invite you to engage in a little visualization exercise with me. First of all, visualize in as much detail as possible an ideal state of affairs that could exist, say, thirty years from now. What characteristics does this world have? How are people getting along? Are they free? Are they happy? Do they love each other? Is there harmony or discord? Peace or war? 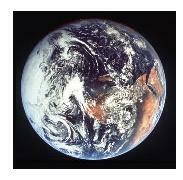 Is such a world possible? In envisioning their ideal worlds, very few people will be observed to opt for war, disharmony, hatred, or slavery. The next question for our exercise is, “Do you intend to do something to bring about this ideal state of affairs?” The answer to that question lies in whether you can or cannot hope for such an outcome and whether it is possible to be optimistic about the possibility of such a future. Freud and certain religious sects share the viewpoint that humankind is basically evil. In Freud’s case, the Original Sin is thanatos: the universal drive towards death and destruction, and libido: basic amoral sexual drives that will wreak havoc if left unchecked. For those with such a world view, the only solution to humankind’s ills must of necessity lie not in freedom but in restraint. Since if people are (or are allowed to be) completely free, the result will be widespread discord and unhappiness. Without wisdom, even goodness will lead to undesired consequences. We are all familiar with the effects of people who, with good intentions, make terrible mistakes that lead to widespread unhappiness. Without fundamental wisdom, force is needed to restrain the unwise. Finally, one can be both wise and good, but if one is not able, one cannot make good things happen nor prevent bad happenings. I may wish to help another person who has a brain tumor, but unless I am a competent brain surgeon, I will end up doing nothing, or doing more harm than good. Actually, it is not surprising that human ability is a prerequisite for the ideal state of humankind. One is free to do that which one is able to do. One is able to do that which one is free to do. You will note that these are assumptions about the individual, not about society or a group. If there is to be an ideal world, it must be ideal for the individuals in it. What good does it do for “society” to be “ideal” in some way if the individuals who make it up are miserable or suppressed? A focus on society as a whole (as in Orwell’s 1984, Huxley’s Brave New World, or Hobbes’ Leviathan) inevitably results in power and importance being taken away from the individuals that make up society. It shouldn’t “Power to the People!” “The People” is a mere abstraction. It should be “Power to individuals – they can be trusted!” The person-centered viewpoint is thus essential to an optimistic scheme. People are powerless. Their behavior is entirely determined by outside forces. One example of this view is the medical model of “mental illness”. When one views a person as “unhappy”, the possibility remains open that that person can have an effect on his own life. When one views a person as “sick”, then some outside physical agency – “a curative agent” – needs to be brought in to handle the situation. The person becomes passive – a patient in fact – rather than active: an agent. People are basically foolish and unaware. Therefore they not only are controlled, but should be controlled. Hence the demand for conformity where a person who has different ideas or who is not easily controlled becomes a social pariah. People are basically foolish and unaware. Therefore they need to be controlled by someone in a position of authority who “knows better”. The consequence of this last view is the wholesale creation of dependence and inability. Being denied a chance to display their innate wisdom and ability, people become apathetic and so seem to lose their wisdom and ability. Furthermore if people lack wisdom, then they surely lack also the wisdom to choose truly knowledgeable and beneficent authorities. Instead they are just as likely to follow foolish authorities who will lead them in attacks on other authorities. Therefore war is another outcome of this pessimistic view of human nature. In fact, adherents of the pessimistic view inevitably act to produce the appearance of the characteristics they attribute to human nature. By controlling people and not letting them act freely they reduce ability; by creating intellectual and judgmental dependency, they do not allow the development of wisdom and by frustrating people’s desires they create negative emotion and in a word, viciousness. A vicious person is a frustrated person. People who get what they want in life are very pleasant. The alternative of course is to consider people to be basically good, wise and able, to minimize external control and duress, to respect the individual as good, wise, and able and to accept the person’s view of the world as valid – for him or her – instead of engaging in ideological imperialism: claiming that only one’s own view of the world is valid. If a person is basically good, wise, and able, then he or she must also be basically right and this basic rightness of the individual must be supported and not invalidated. This is the essence of the person-centered viewpoint, the optimistic viewpoint, the only viewpoint consistent with having both the intention and the ability to create an ideal world. Fortunately this view too can become a self-fulfilling prophecy. When you treat someone as though she were a good person, she tends to act that way. When you give someone freedom, she reciprocates by becoming a nice person and an able one, and by loving and helping herself, you, and other people. When you respect her innate wisdom, you allow that wisdom to grow and deepen and she can then also respect the wisdom of others. The result is the ideal world we all seek. It is possible to go the route of pessimism or the route of optimism: the way of authority, duress, and restraint, or the way of freedom, allowance, love, and gentleness. The former route eventuates in a world a vicious, disabled, unhappy people; the latter eventuates in a world of good, able, and wise people. Is there really any other rational choice than to choose the path of optimism? Surely it is no coincidence then that as one becomes more aware one becomes more optimistic. Since people are basically good, an aware person would naturally want to take the path that leads to love, happiness, and freedom and would perceive the necessity for optimism and of the view of human nature that optimism requires.